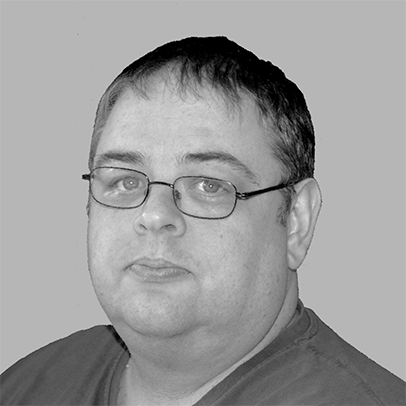 Martin McGrath worked for twenty years in journalism and public relations, primarily for British trade unions, before joining Middlesex University in 2014-15 as a Lecturer in Media and PR. He has a PhD on the impact of new media on election campaigning in the UK and teaches on the impact of social media on public relations. For the first three weeks of this election campaign one of the key public relations battlefields has been whether Labour leader Ed Miliband is too weird to vote for. When David Cameron launched his general election campaign on 30 March 2015 he made the unusual decision to mention his main rival by name three times. It was a sign both that the Conservative public relations strategists believed that their opponent was vulnerable and that they intended to exploit that weakness with a highly personal campaign. In a “Notes for Speakers” briefing sent to their candidates at the start of the election (analysed by Sky News), Conservatives were urged to attack Miliband as weak and incapable. The briefing note mentioned the Labour leader 99 times compared to just ten mentions for the Conservative’s own David Cameron. When questioned about this approach, David Cameron told reporters that the “personal is the national”. We may bemoan the fact that politics today is too much about image and not enough about, well, politics, but this is hardly a new phenomenon. For about as far back as we have records we have stories of politicians attempting to manipulate how they are perceived and critics mocking them for their appearance or personal predilections. Plutarch records that, as he had a peculiarly shaped head, the Athenian poets nickname for Pericles was “squill-head” (Pericles, 3.5). Some historians have speculated that the “first citizen of Athens” was so sensitive about the joke that he took to wearing his military helmet whenever possible – hence its ubiquity in the surviving statues. If the great statesman hoped his attempts at image-manipulation would save him from mockery, he appears to have been disappointed. 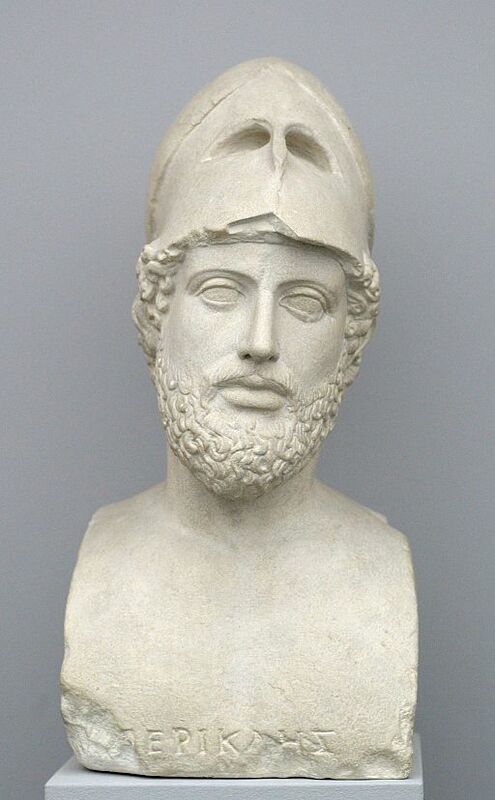 In Greek comedies it can seem that jokes about Pericles’s peculiar head became obligatory and ubiquitous. But perhaps, for Pericles, it was better that they laughed at his head than made fun of his allegedly vast sexual appetites and his tendency to direct public money into his own purse. The jokes certainly didn’t stop Pericles, a wealthy aristocrat, from dominating the politics of democratic Athens for the best part of forty years. And this suggests, I think, that attacking a political opponent – so-called negative advertising – may be memorable and it may be funny but it hasn’t always been a particularly effective tactic for defeating an opponent. In a key 2007 study in the Journal of Politics – a meta-analysis of research into negative advertising in American politics (where the “attack ad” has been honed to a fine edge) – Lau, Sigelman and Brown Rovner found that while negative advertising was more likely to be remembered by voters, there was no evidence that it either changed their voting intention or the likelihood that they would turn up at polling stations. The only effect that Lau et al did identify was a slight lowering of the electorate’s trust in the whole political system. The Conservative Party attacks on Miliband in the opening weeks of the campaign were continual, but perhaps not always coherent. 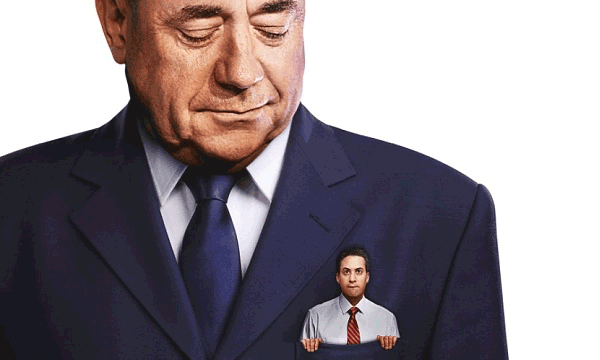 Miliband was weak (in the pocket of Alex Salmond) and weird (Conservative-supporting papers taking every advantage to print pictures of their opponent eating awkwardly or staring strangely) but he was also dangerous (the man who stabbed his brother in the back) and someone capable of betraying his country (by cancelling Trident). The Daily Mail front page that attempted to use Milband’s past love life against him (“Red Ed’s Jolly Tangled Love Life” April 10) seemed to have particularly misfired – undermining the notion of Miliband’s weirdness by portraying him as having a string of intelligent, attractive and successful girlfriends before marriage. Whatever strategic goals the Conservative Party hoped to achieve with their fierce attacks, they can hardly have been hoping to see their opponent’s poll ratings improve. According to YouGov, David Cameron still has a significant lead over his rival (Cameron’s net approval is on 0% at the time of writing) but Miliband’s ratings have spiked sharply upwards (from -50% in March he now stands on -18%). Why has the Conservative strategy failed? One possible explanation is that Miliband simply doesn’t make a very convincing bogeyman. While Conservative campaigns have had success in targeting Labour leaders in the past (Michael Foot and Neil Kinnock were both subject to significant and extensive campaigns of vilification) the technique has not always worked. 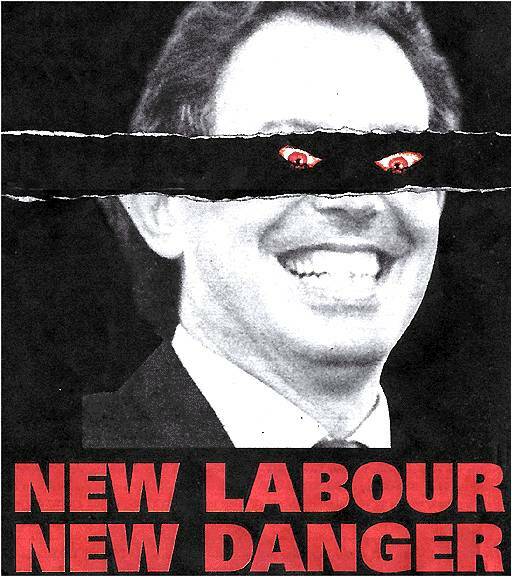 The “demon eyes” in the “New Labour: New Danger” poster they used in 1997 was undoubtedly memorable but it was also entirely ineffective, it simply didn’t resonate with the way people felt about Tony Blair at that time. Indeed, by using these techniques against someone who the public plainly didn’t see as a figure to be feared the Conservatives may simply have reinforced their own reputation as “the nasty party”. It is possible that their attacks on Miliband are repeating this mistake. Another reason for the apparent failure of the Conservative attacks may have been the Labour leader’s response. Miliband has absorbed and conceded some of the key criticism – happy to say that he was a “North London nerd” in a key interview and admitting that he wasn’t going to win an election based on a beauty contest in public speeches. This “sticks and stones” tactic has blunted the effectiveness of much of the name calling, painting those who attack him as unreasonable and aggressive and eliciting sympathy and even respect. But there is a final, and potentially more interesting, reason why the Conservative Party approach may not have worked as they hoped. It is possible that there has been a significant shift in how political messages are communicated and consumed. Since the crash of 2008, the British political scene has been marked by the rise to prominence of unconventional figures. The likes of Nigel Farage, Boris Johnson, Alex Salmond and even Russell Brand may have very different political outlooks but, in the way that they have presented themselves to the British public, there are striking similarities. Their appeal has largely been based on appearing to stand outside the traditional political elite and in refusing to conform to the smoothness and slickness that we expect from the professional, television-era politician. 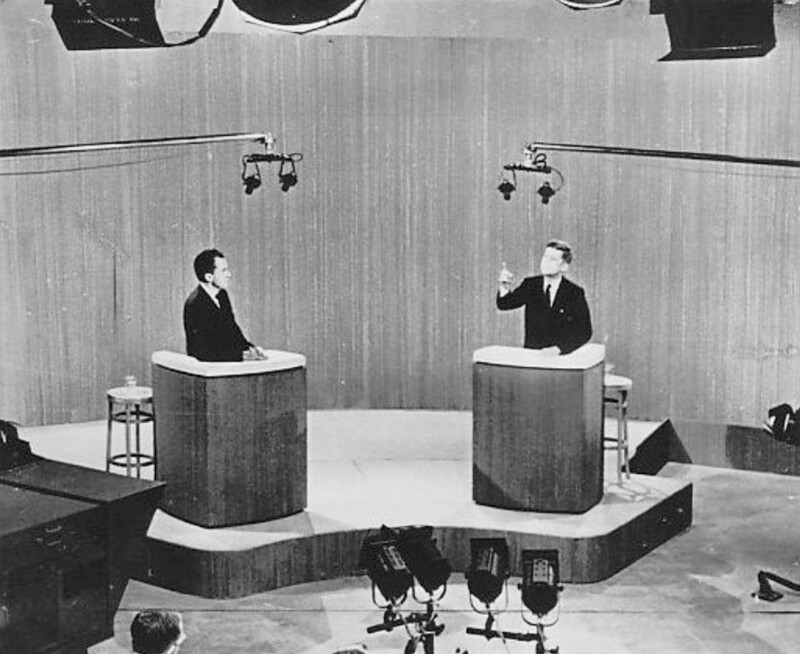 Perhaps the defining moment in modern political public relations was the first televised US presidential debate between Richard Nixon and John F Kennedy. Popular theory has it that Kennedy’s smooth charm won him the debate with television viewers while those who listened on the radio were convinced by Nixon’s words. There is no compelling contemporary evidence to support this notion (Vancil and Pendell, 1987) but the myth is deeply rooted and it has served as the foundation for the idea that a certain type of person and persona is necessary to succeed in modern politics. The perfect candidate for the mass media age was handsome and well drilled, with any rough edges smoothed away by intense media training. But perhaps we no longer live in a television era (or are reaching its furthest edges). I wonder if the rules that applied to the conduct of politics don’t have quite the force they once did. Perhaps the Conservative attacks on Miliband haven’t worked as they hoped because the media cues on which they relied – delivered by mass market newspapers and mass-consumed television broadcasts – don’t have the force they once had. Newspaper and television viewing are in long-term decline and increasingly people are getting at least some of their news from online sources and social media. And even when they engage with mass media they are doing it with a second screen open – sharing their opinions about what they are seeing and receiving commentary from a host of other people just like them. We are not yet experiencing a social media election. Mass media continue to be hugely important – The Sun is still read by more than three million people a day, BBC’s main news bulletins still attract four and five million viewers. Social media is not representative of the whole electorate and those young people who use social media most are much less likely to vote than older sections of the population. Channels such as Twitter are far more influential with those in the media and political industries (and academia) than they are with the general public. But we may be getting the sense of what it is like when traditional mass communications are supplemented and (sometimes and to some extent) subverted by people who have access to their own sources of information. Whether any of this will make a difference to how people vote in a fortnight is impossible to say. The polls don’t show any indication that Miliband’s improved public image (or phenomena such as #milifandom) are having any particular effect on voting intention. But this may still be an election where we see the edges of some very important changes in how politics is communicated to the British public and how political messages are consumed.